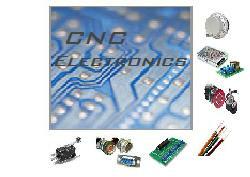 CNC electronics are a vital part of any CNC machine. Aside from the motors and CNC controllers , there are many electronic components that assist in the machine operation. In this section we will cover all the electronics involved with a CNC router. Many people feel more threatened by the electrical components than the mechanics of a machine. This doesnt have to be the case. Whether you are building or buying a CNC router , this section will help inform you on the CNC electronic systems found on a CNC router and help you understand how they come together with other components to create a fully working machine. If you are purchasing a CNC router , you will probably know right from the start if something is wrong with the electronics. This should be checked before ever committing to buying a CNC router. Of course for a new machine, this should be of little concern. If you are buying a new machine, everything should be in tip top shape and if not, send it back or have them fix it. However, if you are buying a used machine, it would be highly recommended to check all the systems before hand. The control panel buttons, limit switches, wiring, etc. For high end CNC routers, in any case you should always have a professional inspect the machine if you find something to be faulty. The chances of you shorting out other systems are not worth the risk of trying to fix it yourself or having the Maytag repair man look it over. For lower end models and hobby CNC routers , the electronics are usually very straightforward but if you dont feel comfortable, have someone else do it. There are many electronic aspects of a CNC router that are vital to its function. Things such as limit and proximity switches, motor wiring, correct cable sizing and selection etc. These features are, in my opinion, vital to building a reliable machine. Yet many people neglect these feature because of lack of know how or budget . Many of these add-ons cost only pennies to install and could save either your machine or the piece you are working on. For the most part, adding these components is by no means difficult. There are also some CNC electronic features that are not often required. Such as manual pulse generators, home and e-stop buttons, touch-off tool sensors etc. These things may or may not be essential to the machine, depending on the user, but do increase user friendliness. Not to mention, increasing the overall look and feel of the machine. With a few CNC electronic add-ons and a well constructed user panel, you can make you homemade CNC routers seem like one off the shelf.